The year 2019 marks the 300th anniversary of our Holy Founder’s entry to eternal life. This anniversary provides an opportunity for us to celebrate our Lasallian heritage, and to renew our commitment to protect the viability and vitality of the Lasallian educational mission through our work. Finally, this anniversary is a fitting occasion to express our trusting vision towards a future full of hope. 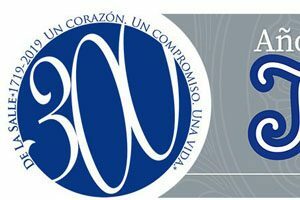 To emphasize the meaning of this celebration, and on behalf of the Superior General and the members of his council, I am honored to invite you to the World Congress of Lasallian Education (CMEL300) introduced by the Preparatory Committee. The Congress will be focused on the path towards the Declaration of Lasallian Pedagogy. Therefore, the selected theme is Lasallian Education for the 21st Century. This academic event aims to provide a space for us to analyze the perspectives for the future of education and to share our reflections and good practices. We hope that educators from around the Lasallian world will join us at Universidad La Salle Mexico City, from March14 to 16, 2019. Experts from the Global Agenda and education will participate in this Congress. Moreover, Lasallian scholars will share with us the insights from their research studies. Also, transformative educational practices will be presented through workshops and a graphic exhibition. Those who are interested can visit our website: icle.lasalle.mx which provides wide and detailed information about the Congress. Registration will be open also in this site from October 8, 2018 to February 15, 2019. Inspired by Saint John Baptist De La Salle, specially by his determination to creatively meet the educational needs of the most vulnerable, let us unite our voices in the World Congress of Lasallian Education to let the world and the young know that we are still determined to build a fairer fraternal future for all. Our association, strong and committed, will give faith to our word of hope. Lasallians from PARC, RELAN, RELAF, RELEM and RELAL, we look forward to seeing you in Mexico! Our home is your home!